The Farm Dairy Assessment is a benchmarking tool that Dairy farmers can use to measure the efficiency of their milking sheds. To make improvements we first need to measure current performance. The farm dairy assessment allows you to complete a simple timing exercise during milking and provides you with a report showing your current milking performance and then compares this with other farmers around the country. After completing the assessment, see the herringbone or rotary information pages to interpret the results. 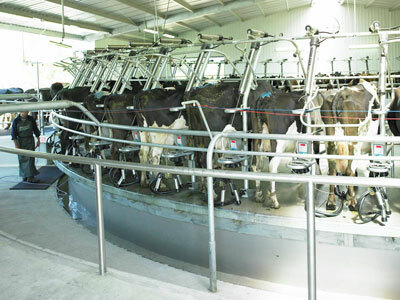 Most operators have a gut feeling whether they have idle time or are overmilking as part of their milking routine, but a good place to start is to do a farm dairy assessment. By answering 10 questions your current performance will be benchmarked, and work routine time calculated. If your performance is below the benchmark your work routine time can likely be streamlined. 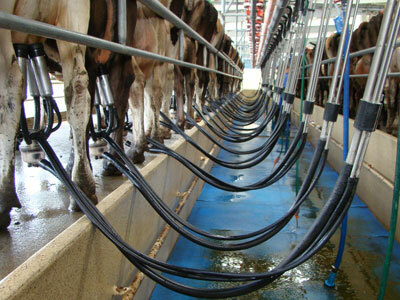 A good place to start with improving milking efficiency on your farm is to do a farm dairy assessment. By answering 10 questions your current performance will be benchmarked against an average. This will also calculate your average rotation time, work routine time and compare this to the speed it was set at to determine stoppage or wastage time.